DirtFish is competing in the Red Bull Global Rallycross Lites class. DirtFish Motorsports is pleased to announce the chosen drivers for the 2017 Red Bull Global Rallycross GRC Lites season. This year we will be fielding two competitive drivers for the entire season- Conner Martell, who finished 4th in the 2016 championship, will be returning under the DirtFish flag. Also returning for his first full season is James Rimmer, who dipped his toes into the sport by competing in the final three rounds of the 2016 championship. A two-car team is a big step forward for DirtFish Motorsports. It will be beneficial for not only the team’s success, but also the success of both Conner and James individually. While they will be competing against each other on the track, they will also be able to train together, collaborate on valuable information about the cars, competitors and the track conditions they are racing on. 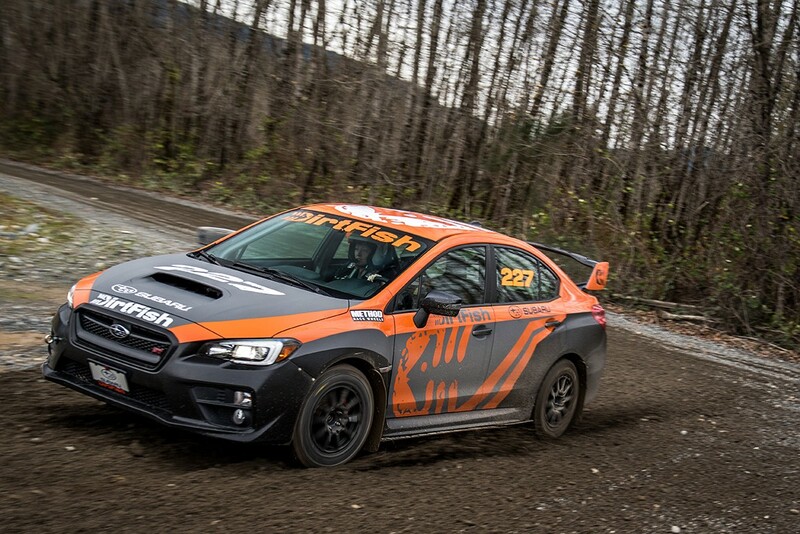 In the off-season, Conner had the opportunity to compete in his first stage rally, the Big White Winter Rally, in Kelowna, British Columbia. He was behind the wheel of a Group 2 Subaru BRZ. He experienced the ups and downs of that type of racing, setting very impressive times on many of the stages and finding the snow banks on two of the stages, which put him behind the competitors and dashing his hopes for a 2WD win. It was a great learning experience for him to try his hand at a different type of racing. He was able to prove to himself and the DirtFish team that he has the skills needed to be successful in anything we put him behind the wheel of. Conner will be traveling to Sweden at the beginning of March to compete in the RallyX On Ice that is run by Subaru Rally Team USA driver, Patrik Sandell. This competition is similar to Red Bull GRC with door-to-door action in the same spec RX2 cars outfitted with studded ice tires. He will be competing against some very fast drivers that also compete in the FIA World Rallycross and Global Rallycross who all have an immense amount of experience in this type of racing. Since the final Red Bull GRC race in Los Angeles, James Rimmer has been back attending college at University of Denver in Colorado and focusing on his studies. For the 2017 season, James will be taking a break from his studies as he has committed to racing a full GRC season. Following his completion of the winter quarter at school, James will be traveling back to Snoqualmie to engage in a very intense training schedule, both at DirtFish and other locations to continue developing his racing. James also competed at the Big White Winter Rally for the second year in a row. In 2015, he was behind the wheel of the same Subaru BRZ that Conner was driving. This year, he stepped into an Open Class AWD Subaru STI. 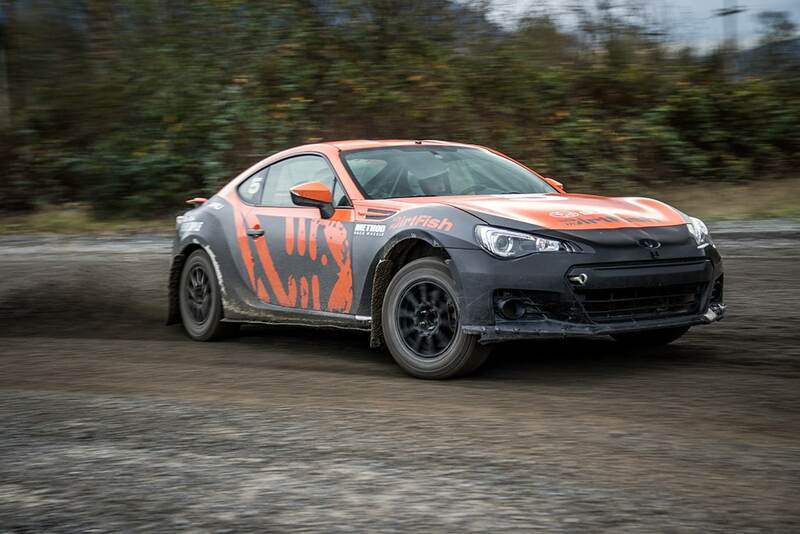 Similar to Conner, James was able to prove how competitive he could be, laying down some very fast stage times, including a second fastest time only thirty seconds behind Subaru Rally Team Canada driver, Antoine L’Estage. Suffice it to say, both drivers have been working very hard in the off-season to stay in top physical and nutritional form, as well as increasing their fan following on social media. They have been taking every opportunity to cross-train in as many different types of vehicles as possible to making them more accomplished wheelmen. The 2017 Red Bull Global Rallycross season kicks off in beautiful Memphis, Tennessee at Memphis International Raceway on April 29th. 2015 was the first season DirtFish competed in the Red Bull Global Rallycross Lites class. With the Lites class being a spec series with purpose built 300 horsepower, all-wheel-drive, mid-engine cars, it is extremely competitive, really separating the drivers, removing any element of another team having a faster car. The Red Bull Global Rallycross season runs twelve races from May to October in eight iconic locations: Phoenix, Daytona International Speedway, Port of LA and many more. With the largest GRC Lites field, it will most definitely be the series to watch!